O repent ye, repent ye! Why will ye die? Turn ye, turn ye unto the Lord your God. Why has he forsaken you? With the previous post in this series informing us about the required condition of the heart, we can now move forward and talk about repentance. 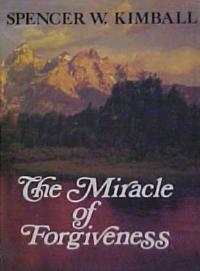 Unfortunately, for all the good it did in urging repentance, The Miracle of Forgiveness also did immense damage to many. It taught things that aren’t true, set false requirements that didn’t come from God, and perhaps caused as much despair as it alleviated. It shattered and even destroyed lives by teaching falsehoods about the principle of repentance. But my purpose is not to discuss the book, nor criticize the author. Rather, I’d like to talk about repentance in light of our discussion on seeking knowledge. I only mention the book because it helps illustrate some of our problems with repentance. Perhaps suffer a penalty imposed by the church, like loss of temple recommend, prohibition of sacrament, probation, or disciplinary action—including disfellowshipping or excommunication. This penalty will last for a certain minimum length of time (weeks, months or years) while you complete the “repentance process.” You can’t be forgiven until “sufficient time” has passed. Forsake the sin and demonstrate that you’ve changed by not doing it again. And, at last, having completed this process, you will be pronounced “clean” from your sin and rehabilitated through your repentance. Assuming you meet the requirements, penalties will be lifted and privileges will be restored, though certain sins will be annotated in your permanent church record, and will follow you for the rest of your life, disqualifying you from certain positions in church leadership. Now, I get that the church organization can set whatever requirements for membership it chooses, and it can also set policy and penalties for dealing with those who break the rules of the organization. That’s the church’s right. But let’s not make the mistake of pretending the above list has anything to do with actual repentance, as found in scripture, or receiving forgiveness from God. For that, we have to take a completely different approach. The simplistic approach is too often just a list of naughty things you shouldn’t do. We like lists, after all, and we like it to be easy. Who wants to wonder, right? If you’ve done something on the naughty list, you have sinned. And if it’s on the really naughty list, you need to talk to your bishop. Then, we take it a step further by augmenting the list of bad stuff with the list of good stuff you really should do, but don’t. We call these lists, respectively, sins of commission and sins of omission. Yeah, ok. But there are problems. What about the stuff not on the list? And where, exactly, is this list printed so we can study it? Who came up with this list? Even more troubling, what about when God has commanded really righteous people to do very naughty things, like killing other people. What then? What about actions that are completely righteous in one setting, and totally wicked in another? OK, so the list approach isn’t going to work. Some stuff appears to be too fluid, and no list will ever be complete for every situation—thus leaving us in doubt as to our standing before God. So let’s take a different approach. Christ openly and continually taught that He was sent to show us the path that leads to exaltation. So there’s a path laid before us, taught and trodden by Christ, that leads to the destination of exaltation. There is a path, and there is a destination. The entry to the path is baptism. This path is often described as “strait” which means narrow. There is not room for deviation, because if you deviate from the path, you will not reach the destination. Only one path leads there, and all others lead elsewhere. When we speak of religion, we invariably use words fraught with emotion, inside a paradigm of reward and punishment. The carrot and the stick. Heaven and hell. But for a moment, let’s just forget all that and re-frame it in terms of the path. 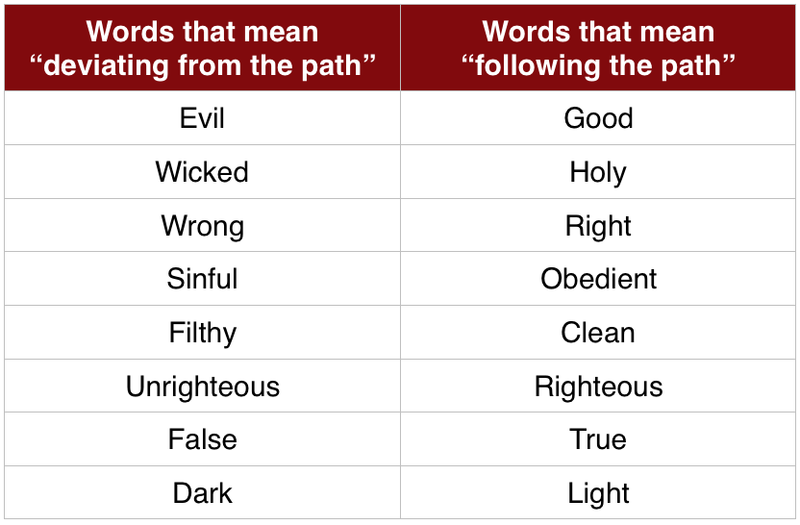 Once we drain all the emotion from the words, everything we consider ugly or wrong, really just means deviating from the path. Likewise, all we consider good and holy, really just means following the path. All the emotion applies only because of what lies at the end of the path. 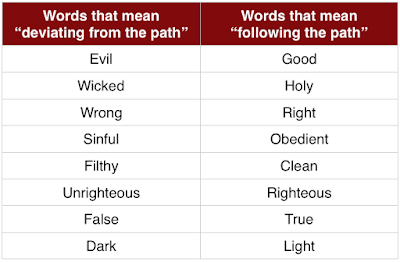 With this paradigm of the path in mind, we can discuss repentance. In the end, to “repent” really means to change course; to turn from whatever is distracting you or leading you off the path, and to instead face God, return, and follow His path. That’s it. That’s what it means to repent. There is no “process,” no checklist, no waiting period, no need to satisfy a man or an organization. The only steps required are to realize you’re following an incorrect path, and change course to follow the correct path in that thing. By following the correct path, your weakness will change to strength and your nature will change to be more Godly. Remember, God’s work and glory consist of causing our immortality and eternal life, and he is able to do His work. Therefore, His will consists of everything that leads us toward that outcome. His commandments are really His directions how to arrive where He wants us to arrive, and the punishment of sin really consists of the exquisite agony of any other outcome, in light of a full understanding what He wanted to give us, but we refused to accept. And so, we must have knowledge. It’s impossible to follow God’s path if you don’t know what it is—and we are all MUCH too quick to assume we know how to please God when in fact we do nothing of the sort. Ignorance really is our greatest “sin” or, to put it another way, it is the root of all our deviations from the path. Trying hard to “be good” or “stop sinning” is far LESS effective at changing our desires than learning and gaining knowledge of God’s ways. When we view things as God does, our desires match His, and we lose desire for any other path. Light is the cure for darkness. Knowledge is the cure for sin. And therefore, in its most pure form, to repent means to obtain and obey knowledge. Well, in a way, He did. He, like all of us, was born in a fallen world into a veil of mortal flesh. But He relentlessly sought, obtained and obeyed knowledge of his Father’s path until he comprehended completely and ultimately gained the Father’s fulness. He never deviated from His Father’s will and remained true to every bit of light and knowledge He gained. Therefore, I would submit that, though He never sinned, He repented perfectly. He truly is our example in all things—even repentance. In the horrors of Gethsemane, our Lord—who never once deviated from the path—took upon Himself the results of all OUR deviations and rebellions. He took our filthiness, our ignorance, our infirmities and our darkness, and in that wretched condition nevertheless faced His father, and found the way to reconciliation by the power of His love. He knows how to return to the path from every deviation because he has done so. There is nothing hypothetical about His knowledge; it was gained by practical experience. He can guide us on the path because He has walked every step of it. He readily forgives because He has the right and the power to do so, while rejoicing in our return to the path when we have wandered off. Think of the parables of the Lost Sheep, the Lost Coin, the Prodigal Son. His purpose is never to punish, but to guide, teach, bless and exalt. He’s all about the carrot, not the stick. Repentance is a word filled with hope and joy, not darkness and fear. Just as soon as you show the desire to return to the path of His will—that quickly He will rush to your aid. And immediately upon your request, He will forgive without hesitation. We all suffer from debilitating unbelief—which is to say we all believe things that simply aren’t true. When you gain knowledge of these errors and let them go, choosing instead to believe and obey truth, you have repented—and Christ can immediately free you from the debilitating effects of your former ignorance. Therefore, the most effective way to repent brings us right back to the point of this series. Ask, seek, knock. Ask the Lord to show you your ignorance and replace it with knowledge. Ask to be freed from your unbelief and taught to believe truth. Admit your lack of understanding and open your heart to accept ANYTHING the Lord will teach you, no matter what it may cost you to obey Him. Set aside your guilt, shame and fear; they only inhibit you. The Lord, who is merciful, will teach what is lacking, repair what is broken, undo the damage, and immediately forgive. I have authority to state these things because I have experienced them; my knowledge comes not from theory, but from practice. If he will guide, teach and immediately forgive me, he will do the same for you. It’s quiz time. Answer the following questions; they aren’t difficult and aren’t meant to be tricky. If you don’t know the answer, just move on to the next question. Why is it expressed in hours, minutes and seconds? Ready for some harder ones? Where did trigonometry come from? Where does our current knowledge of astronomy find its roots? Who came up with the 12 main constellations in the heavens? I could keep going, but I'll cut to the chase. 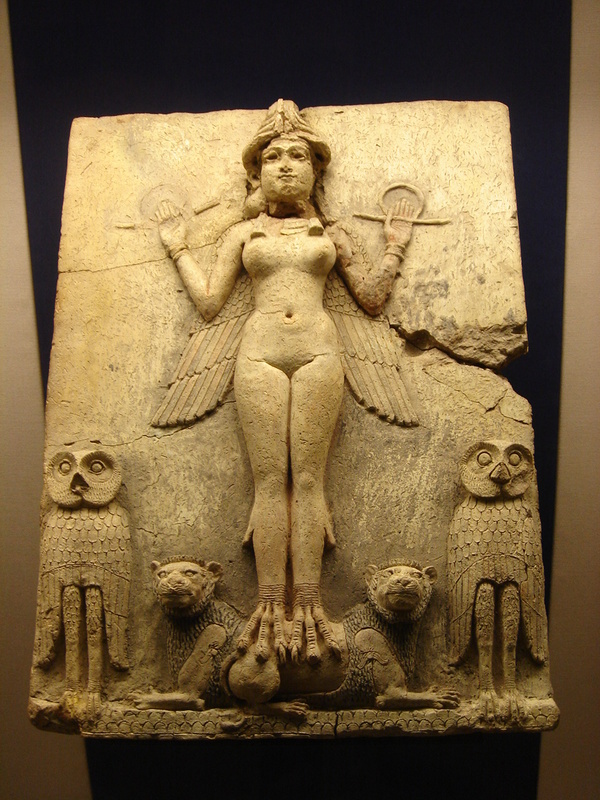 The answer to nearly everything above is Babylon. And if you’re a fan of scripture at all, that should maybe set off some alarms. As you may recall, Babylon invaded and conquered the last remnants of Israel, destroyed God’s temple, and carried the remaining Jews captive back to Babylon. Seventy years later, when the Jews were allowed to return to Jerusalem, the remaining vestiges of their religion and knowledge had become contaminated and corrupted by Babylonian ideas—many of which remain to this day. Mathematics, science, medicine, astronomy, literature, government, religion, even the measurement of time—all these were corrupted by Babylon. Prior to the Babylonian captivity, parts of God’s knowledge—taught to Adam, and handed down through the ages to Abraham—yet remained. But Babylon saw to it that even these last vestiges were supplanted and corrupted with different systems devised by men to replace God’s knowledge. Though Abraham was personally taught astronomy and the reckoning of time by God (Abraham 3) his knowledge was lost and replaced with something inferior. Fact is, we don’t know how Adam or Abraham understood the heavens. Heck, we don’t even know how they reckoned time. We don’t know Adam’s language that Enoch spoke with mountain-moving power. We know far less than they knew. In the end, you and I may be experts in many things—and yet we can’t even tell time or read the testimony in the heavens. We can’t communicate properly, and we struggle to hear God’s voice. We are, at the most basic level, terribly lost. The systems we’ve devised to replace our lacking knowledge have no power to guide us to God. Forget about being smarter than a fifth grader; we are, quite literally, infants in the things of God. We don’t know who we are or where we are; unable to speak, read, write or comprehend, we are as helpless as babies. All our Babylonian knowledge amounts to almost nothing. We simply do not know how to please God. We’ve lost all sight of His path. At the most profound, fundamental level, we desperately lack wisdom in everything. What’s left to us in this corrupt world is powerless to save us. The only solution, therefore, is to receive what we lack from God. The more profoundly you feel this deficiency, the more literally you will become as a little child, and the more powerfully you will cry to God for wisdom. During this time of great excitement my mind was called up to serious reflection and great uneasiness; but though my feelings were deep and often poignant, still I kept myself aloof from all these parties…but so great were the confusion and strife among the different denominations, that it was impossible for a person young as I was, and so unacquainted with men and things, to come to any certain conclusion who was right and who was wrong. My mind at times was greatly excited, the cry and tumult were so great and incessant…In the midst of this war of words and tumult of opinions, I often said to myself: What is to be done? Who of all these parties are right; or, are they all wrong together? If any one of them be right, which is it, and how shall I know it? Did you catch what Joseph said was bothering him? What was causing all the “serious reflection and great uneasiness?” Causing his mind to be “greatly excited” while laboring under the “extreme difficulties caused by the contests” of ideas? He states it plainly. He needed wisdom from God because he didn’t know how to act. It wasn’t simply about which church he ought to join! It was rather about finding saving truth! He thought and hoped the religions of the day could point him to God’s path, but they could not. The idea that churches taught saving truth was an unbelief, and one of the extreme difficulties under which he labored. Ultimately, he came to realize his overwhelming ignorance, and concluded the only rescue from gross darkness would be to ask God directly. This is a more powerful idea than we realize. Once we get past the children’s story that Joseph was merely curious about which church to join, we can start to understand how and why a 14-year-old farm boy broke open the heavens and elicited the Lord’s personal ministry. Joseph deeply, profoundly recognized he had lost the path and sought desperately to return to it. In a word, Joseph repented. Aside from the Savior’s own example, I cannot think of a more beautiful, powerful, efficacious example of repentance and its results. There it is. Abraham’s repentance and its results. Want another example? Look at Alma 36, which is a chiasmus centered around verse 18. Take note of how quickly the Lord forgave and healed Alma as soon as he repented. And there are others. Time is short, but it is still possible to repent and return to the Lord’s path. I pray we all will do so before it is everlastingly too late. Our greatest sin is ignorance; the remedy is knowledge and repentance. But if ye will repent and return unto the Lord your God I will turn away mine anger, saith the Lord; yea, thus saith the Lord, blessed are they who will repent and turn unto me, but wo unto him that repenteth not. As I read your post I was reminded of my favorite talk by Denver, talk # 7 on Christ. -He is no respecter of persons. I can no longer take this blog nor its content creator seriously. Adrian, your lack of integrity and filtering comments is appalling. For someone who proclaims to "love the truth" your willingness to defend the Denver Snuffer from the accusations of being a false prophet to the point where you filter comments from your readers that challenge Denver has led me to believe that both you and he are not only deceived but maliciously trying to deceive others by not allowing the truth to be told. Regardless of your fear of the scriptures exposing you, the truth will stand on its own. The reason I didn't post your comments is because they were promoting another blog that is filled with error and misunderstanding. I will not use this platform to promote somebody else's blog when it only serves to mislead and confuse. If you have a point to make here, please feel free to do so. I do not fear discussion in the least, and all the other comments on this blog prove me out. But please don't expect me to publicize or add to the audience of somebody else's error-filled blog. I see no reason to do so, and no good that comes of it. One other thing to note: if the Lord really did send Denver Snuffer, you attack him at your own risk. I won't contribute to that, nor promote it. Feel absolutely free to discuss and counter his ideas, but I will not promote nor link to personal attacks. Something to keep in mind if you want your comments published. So please feel free to make your case for what I, or Denver, or anyone else has taught that is false. Support your thinking with scripture. Let's discuss it. I find this to be the messaage you shared today Adrian. Thank you for this wonderful timely message. I enjoyed the post as usual. Are there no limitations though to the "list" of things we can repent of and still obtain forgiveness and knowledge? How does what Denver has taught about adultery in 18 Verses fit into this paradigm? For whatever flaws might be in the LDS process, confession is not one of them. There are multiple scriptures in BoM and D&C that indicate confession is required for repentance. It would seem public vs. private confession is based on the public/private nature of the sin itself. Repentance is to confess the sin and do them no more. Gruden, excellent point. Though I believe confession has much more to do with recognizing your error than it does with telling other people what you did. Admitting it to yourself and to God is the root of repentance. Confession to those you wronged is useful as well. But for many errors, this is not relevant. I don't think confession to a church authority is warranted or necessary, ever. I am interested in an answer to this as well. Does Christ's atonement not make one fully clean? Christ's atonement does make one fully clean. Can it prevent you from ever sinning again? no. BUT being born of God can coupled with receiving your calling and election from Jesus Christ can keep you His. Fair enough, but who do you confess to? The scriptures make it abundantly clear this is part of the repentance process. Quite a number of years ago I went through a repentance process, and the Spirit made it very clear to me I was to confess them, even things I didn't think needed involvement of someone else. The scriptures make it plain it wasn't something individual to me, that's how the Lord wants it done in general. If there's no bishop to go to now, then who? "To own, acknowledge or avow, as a crime, a fault, a charge, a debt, or something that is against one's interest, or reputation." "In the Catholic Church, to acknowledge sins and faults to a priest; to disclose the state of the conscience to a priest, in private, with a view to absolution; sometimes with the reciprocal pronoun." In other words, the whole notion that you must confess your sins to a minister or priest, who has power to absolve or forgive you, originated in Catholicism, and is not found in scripture. I can see how teaching and requiring such confession gave the church power over their members. The LDS church does the same. It's certainly appropriate to confess and seek forgiveness of someone you've wronged, and it's appropriate to confess your sin to the Lord and seek His forgiveness. Only Christ can forgive sin; there is no role for a priest other than providing baptism to the repentant. Does anyone have an answer to Unknown's comment above? The scriptures tell us that we can be cleansed from sin and that they are then remembered no more (Alma 36:19; D&C 58:42) IF we repent. If I remember correctly, that chapter in 18 Verses quotes Joseph saying that an adulterer can not enter the celestial kingdom if he enters any kingdom at all or something like that, right? The question then is whether or not an adulterer who has repented is still an adulterer. And if no longer an adulterer, can they then be considered worthy of celestial glory? Right now the only thing I can think of that a person can do which is not forgivable is to "deny the Holy Ghost". Interestingly enough, this type of behavior is one that would be done by an adulterous heart. If we repent we can't turn back to our sins or all previous transgressions will be remembered. (I promise there is a scripture for that, but I can't remember it right now.) So a repentant adulterer would be wise to keep looking at God and not turn to face his former sins. I don't know that this is true, but it seems to make scriptural sense. Really appreciate that there are those out there who question false traditions whether seemingly harmful or not. The majority of our traditions like the Pharisees are to satisfy the vain ambition of the few. Recently, Ive been turning to the original teachings of Joseph Smith as well to realize how far we've gotten of track. Searching Jsp Ive realized Joseph never taught polygamy and the d and c as well as church history were altered to glorify Brigham Young and polygamy. Why is it the church still has to sell polygamy? Because of the succession issue. Joseph Smith has to have married 14 year old girls and slept with other men's wives because that's what Brigham did, and so false and vain traditions have been written into our history because 15 men really want to be in charge. The living quorum are more than happy to throw Joseph under the bus every time. An example I'll give of altered history I discovered is section 126 of d and c which wasn't added until 1876. It purports to be a revelation from Joseph telling Brigham that he is relieved of future travel as an apostle and should spend time attending to domestic concerns (and did he, over 50 wives!) This false scripture justifies Brigham assuming leadership of the church since apostles as we all know are missionaries, and hence wouldn't have time to fool around with other men's wives and practice debauchery in the name of God. If you look at the dc before Joseph's death Brigham young isn't there at all. So he had to write himself in several times. He had Willard Richards do this one for him. It's an obvious forgery because it's written at the bottom of a journal out of sequence and randomly just where he had room to squeeze it in. A second example are the plural marriages in jsp. Several times they are squeezed in out of sequence or at the end of an entry where there happened to be space. There are only 2 plural marriages for Joseph Smith written in short hand: one for Rhoda Richards- I assume a relative of Willard. Summaries the church writes for each journal hilariously mention polygamy like it's in his journals but it's never there except for these 2 obviously desperate doctor jobs by Willard Richards who took the journals over after Joseph's death. I'm surprised the extent to which this conspiracy went to implicate Joseph in polygamy, but also how these lousy fabrications are never called out. Probably, because it would blow the roof off the whole scam. I love Mormonism, but hate how I as a missionary taught people the greatest thing about the gospel isn't Christ but 15 empty suits. Our Gospel needs to stop being about men.Furthermore, if these marriages were sealed in heaven, where is the earthly record? Joseph taught ordinances have to be recorded to be valid. If he were married to 30 women, where is the contemporary account? And why did Brigham have to have them posthumously performedin the temple to make them valid? Sorry if this is off topic. It's sad we have to question even basic teachings such as repentance so much has our Gospel twisted by vain teachings. Great work as usual. You have hopefully led me to get rid of some of the mountain of unbelief I am dealing with. I agree that confession to a fellow human is not necessary unless you actually harmed that specific person. To James I would say the I agree 100 percent with your facts about the LDS church being highjacked by Brigham Young and his minions.